Every August, Berliners and craft beer aficionados from all around the world flock to the center of Berlin for the amazing International Berlin Beer Festival, which – in 2017 – is from August 4 to 6. This year’s focus is on beer from the German state of North Rhine-Westphalia, represented by two traditional breweries from Lübbecke and Bielstein. 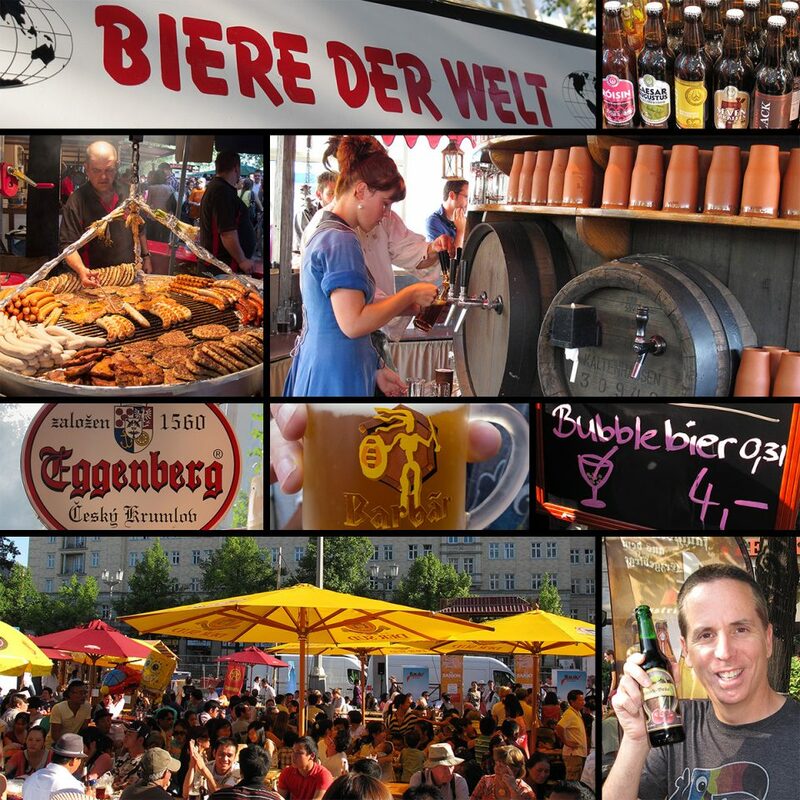 Germany’s capital has been hosting this phenomenal beer fest for the last 21 years. The huge craft beer festival on Karl-Marx-Allee features over 344 breweries from 87 countries. While happy guests can sample from over 2,400(!) different kinds of beer, musicians on 19 stages entertain with everything from chill oompapa music to fiery Latin rhythms. And, there’s no admission! Whenever we happen to be in Berlin in August, Tony and I make it a goal to visit the International Berlin Beer Festival. With over 2 kilometers of craft beer goodness, the festival has truly earned its title as the “World’s Longest Beer Garden”; it even made it into the Guinness World Records. Well, prost then. The first kilometer or so, I usually remember quite well. Delicious Polish sausages, German sauerkraut and bratwurst, pierogi stuffed with potato and cheese. Then, there’s the beer. Golden honey beer from Belgium, dark monastic beer from the Czech Republic, and sweet cherry beer from Eastern Germany. As we pass breweries from Greece, Bulgaria and Russia, we move to the beat of German schlager music. After about an hour, my memories always tend to fade. There’s usually more food – horse meat burgers, kale and smoked sausage? Who knows. One thing is for sure, however, there’s most definitely more beer. 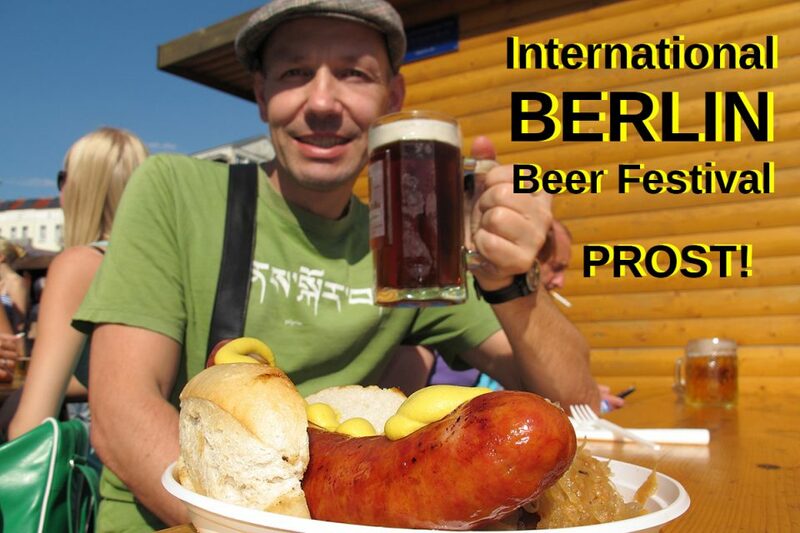 So if you want to experience an all-encompassing German beer festival, make sure you mark the 3-day Berlin International Beer Festival on your calendar: Pencil in a stein on August 4, 2017! Accommodation – Berlin has great accommodation for every possible budget. During the summer months in Europe, Berlin can be very busy, so make sure to book early. We recommend searching for great deals on HotelsCombined.com, a site which finds the best deals for you across numerous top hotel booking sites, including booking.com and agoda. If you plan to stay for more than a few nights, it’s probably cheaper and more convenient to book an apartment through Airbnb (which we always do). If you haven’t used Airbnb before and you click through this link here, you get a credit toward your first stay. The amount varies, but it’s usually between $25 and $35. Not too shabby. Guidebooks – We like to travel with Lonely Planet guides. They are great for historical and cultural information, maps, walking tours, highlights, and itineraries. For Berlin, you have quite a few options. Here are just a few you can use: the Pocket Berlin Guide , the Lonely Planet Berlin , or the Lonely Planet Germany if you are planning to travel to other parts of Germany. If you prefer a more visual guidebook, we recommend the DK Eyewitness Travel Guide Berlin . Disclosure: This post contains links that help us earn a small commission at no extra cost to you. Thank you for your support! That’s quite a sausage you’ve got there, Thomas. It’s exactly as classy as you would expect any beer festival to be. But seriously, if want to sample the world’s beers, or you simply love stick-to-your-ribs food, you can’t beat it. Actually, I thought it was worth it for the pierogi alone. Are we morphing into a food blog? Sounds like a great time, how can you go wrong with Belgian beer? Oh my! I love the first photo – now that’s a proper sausage! I feel somewhat deprived these days in Korea given that it’s hard to find good beer and nice side dishes while drinking.